Machine learning can help retailers meet the expectations of modern customers, but first it’s important for decision-makers to understand the capabilities of present-day ML technology that can be applied to retail business use cases. Today more than ever, the customer is king as shoppers expect on-demand, seamless and personalized buying experiences. Machine learning can aid in getting retailers to meet these expectations, but first it’s important for decision-makers to look beyond ‘AI washing’ and understand the current capabilities of machine learning that can be applied to retail business use cases. 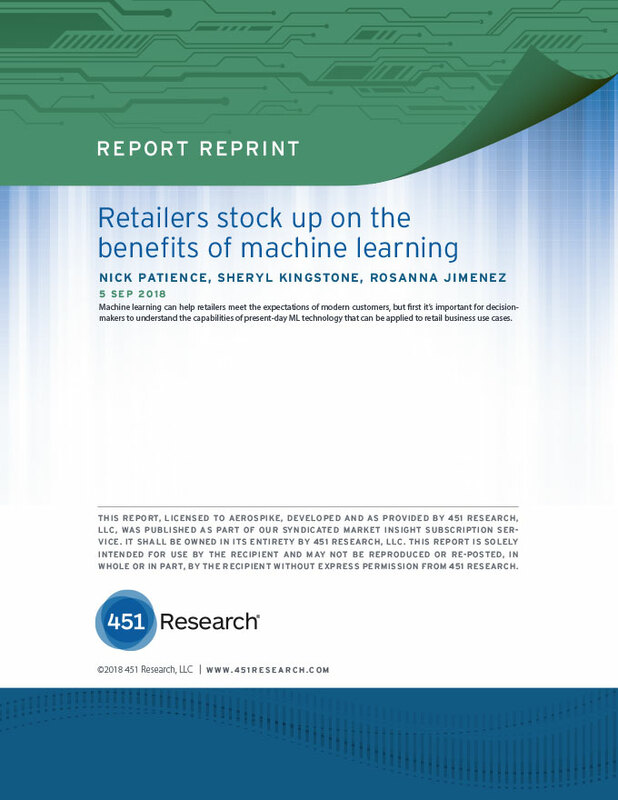 This report will cover the primary functions of machine learning in retail segments that 451 Research has designated.